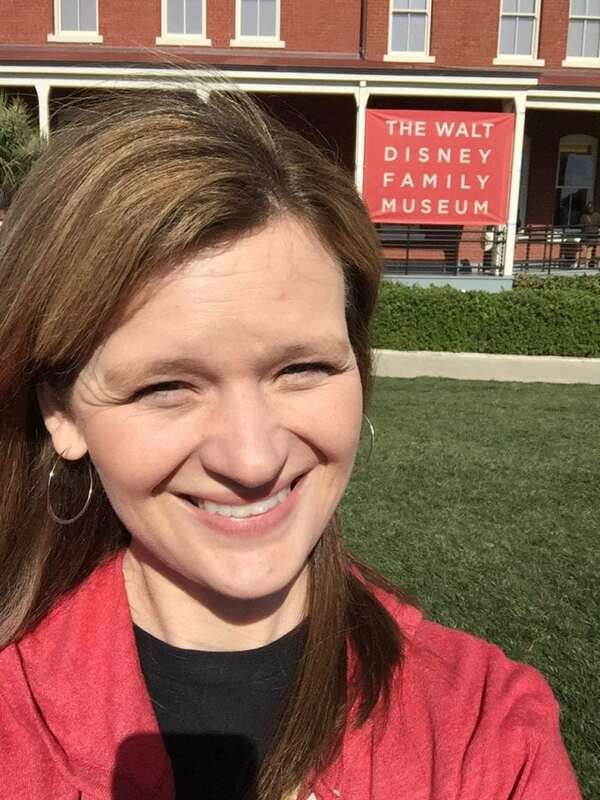 My trip to San Fransisco included a wonderful tour of The Walt Disney Family Museum. This quaint little museum sits in the San Fransisco Bay with an amazing view of the Golden Gate Bridge. It was absolutely beautiful. 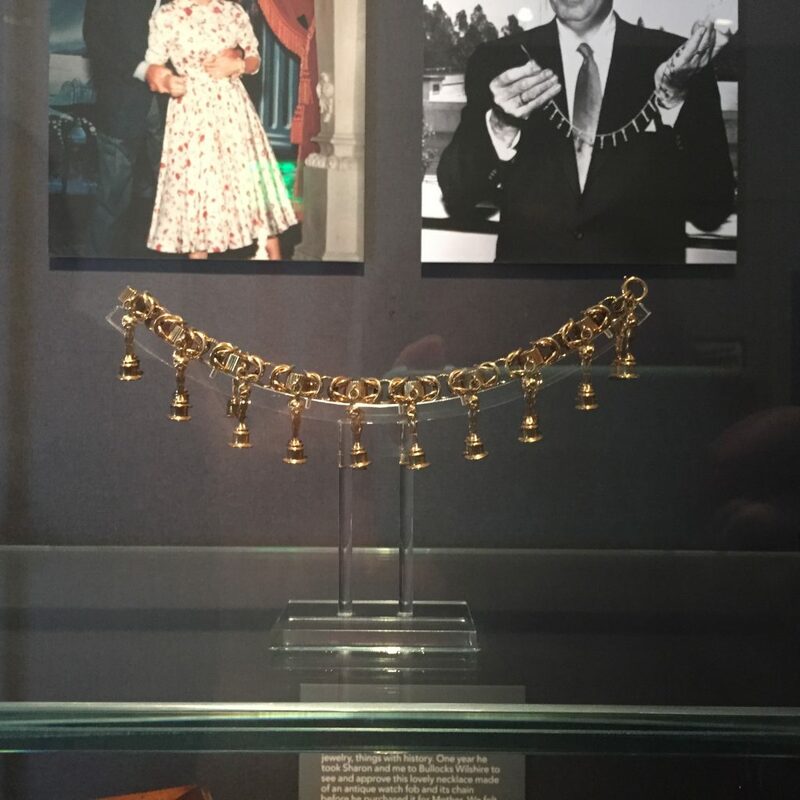 The museum was built to document the life of Walt Disney through interactive galleries and artifacts donated by his family. 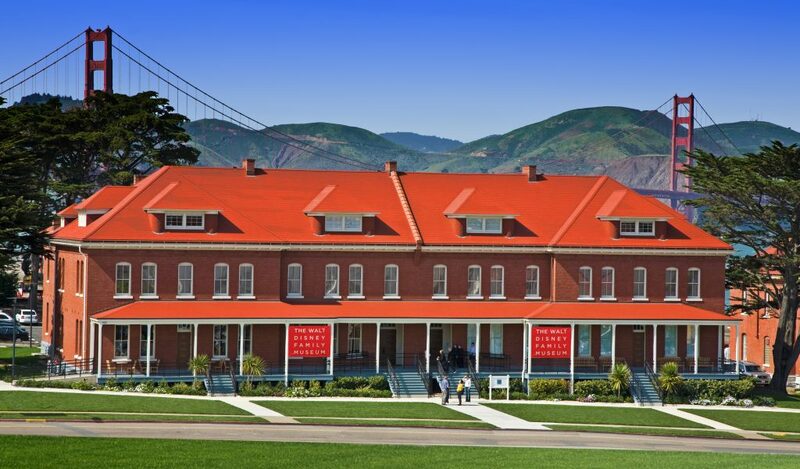 Opened in October 2009, the Museum is located in the scenic Presidio of San Francisco, adjacent to the recently refurbished Main Post, in a former U.S. Army barracks renovated by renowned architect David Rockwell. The 40,000 square foot Museum tells the story of the man behind the myth through Walt Disney’s own voice and interactive galleries featuring historic materials and artifacts, early drawings and animation, movies, music, state–of–the–art technologies, listening stations, more than 200 video screens, a 14–foot model of Disneyland and much more. Visitors can also enjoy the Museum store, and the 114 seat, Fantasia–inspired theater, which shows Disney classics six days a week. In addition to its galleries, the Museum presents screenings of a different Disney classic film every month, as well as related lively programs and concerts, featuring Disney Legends, actors, animators, musicians, character voices, historians and Disney family members. Weekly Disney Discovery classes and workshops teach animation, illustration, sketching, painting, stop–motion cinematography, voice–acting and more for all ages. A series of one and two week summer camps encourage children to explore acting onstage, learn the secrets behind special effects, create an animated short, unwrap the magic of illusions, explore the outdoors with a video camera, create a comic book hero and more. 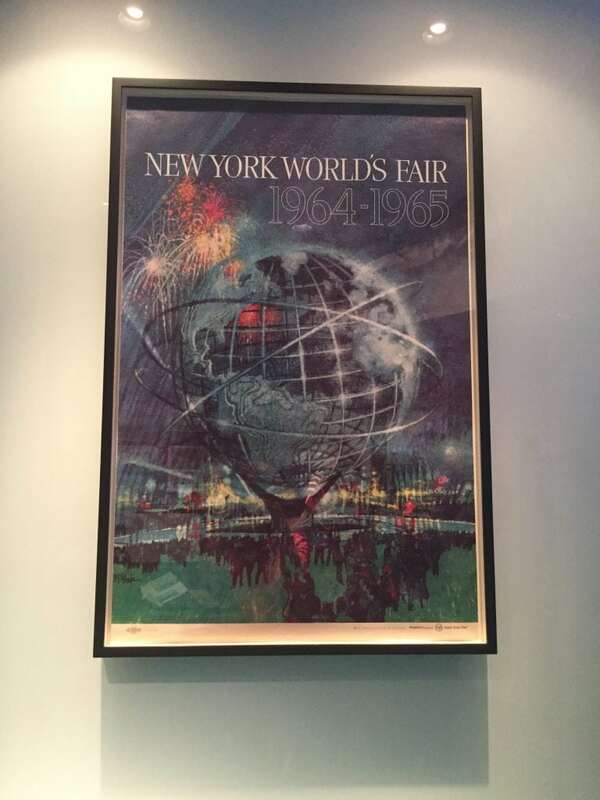 My tour began in the lobby of the building which was full of Disney magic. 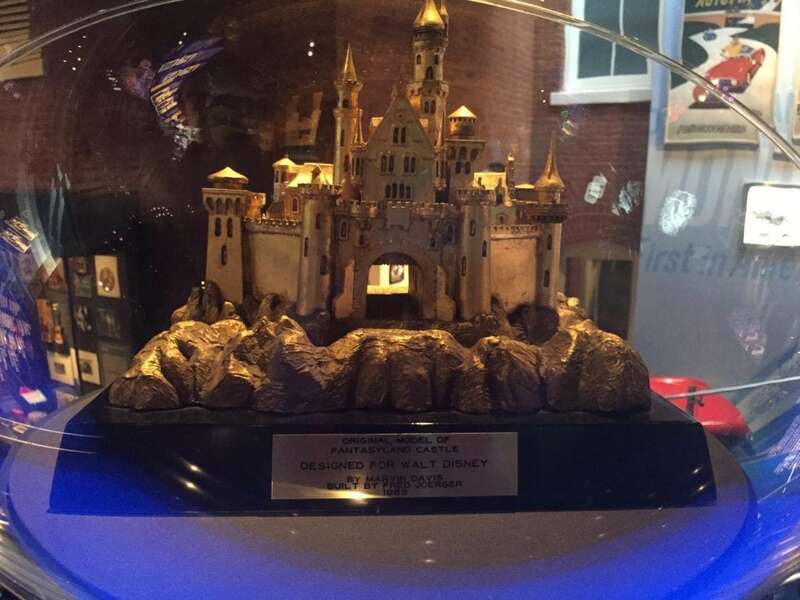 The lobby showcases many of the hundreds of awards that Disney has collected over the years including this special one. Can you guess what movie it is for? Yes, this is the honorary Oscar Award for Snow White and the Seven dwarfs! 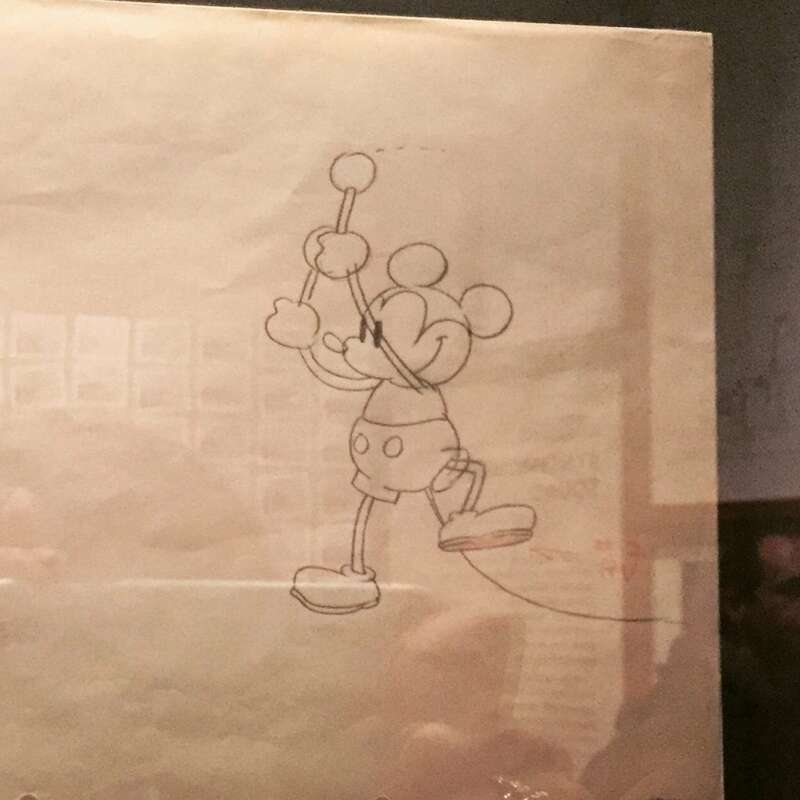 The museum is full of fun artifacts just like this that I wanted to showcase and get you excited about so that you make going to The Walt Disney Family Museum a priority the next time you visit San Fransisco. There is a lot to look out for. 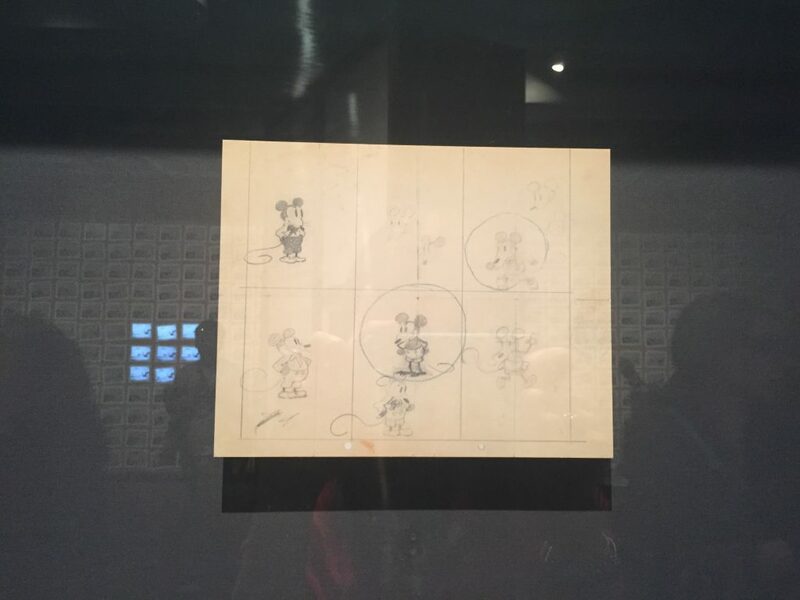 This is a picture I took of the first known drawing of Mickey Mouse. 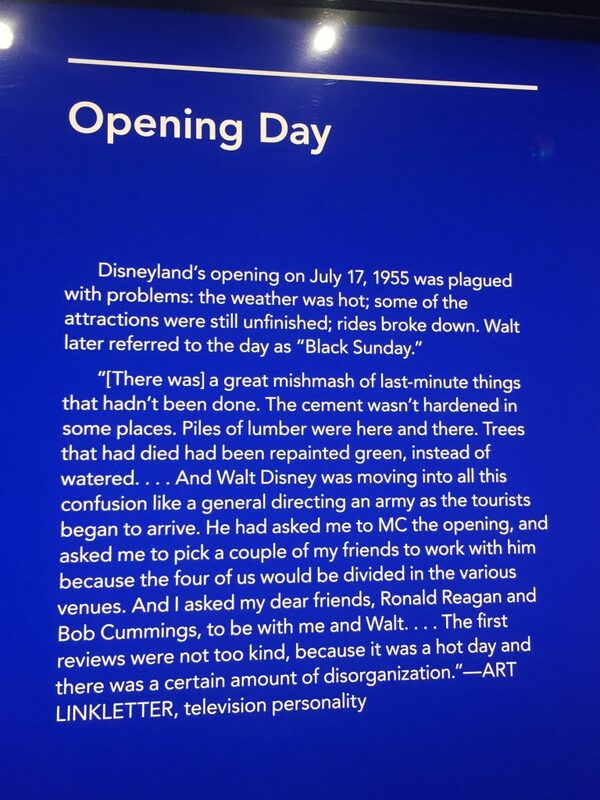 During the tour you will learn more about how Walt created Mickey and what his original name was before it was changed to Mickey. I loved being able to see all the amazing parts of Disney’s history. 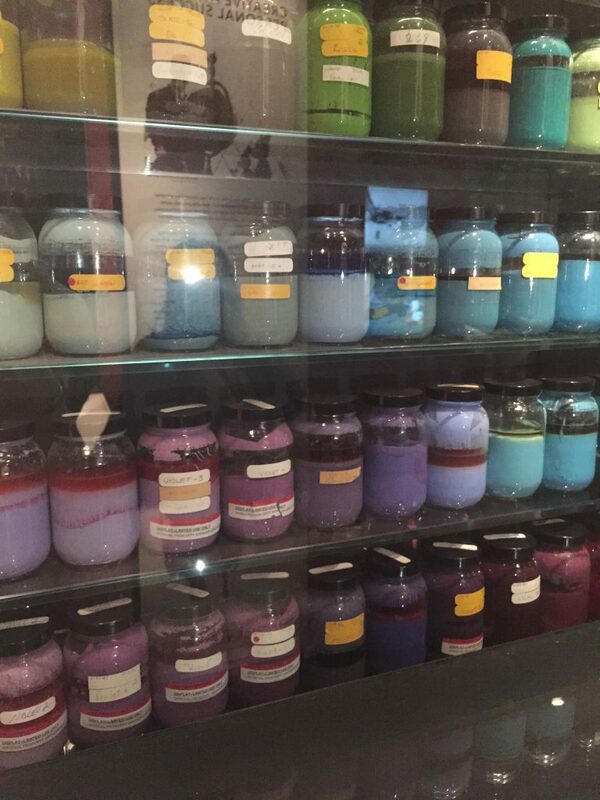 Another of my favorite artifacts that are in the museum is the actual paint that they used to color the animation cells in the early days of animation. These bottles are labeled for what specific character it is used for. I saw Cinderella’s dress color, Donald’s hat, and Pluto’s fur. Inside the museum is a huge collection of merchandise that was created through the years surrounding each of Disney’s films. 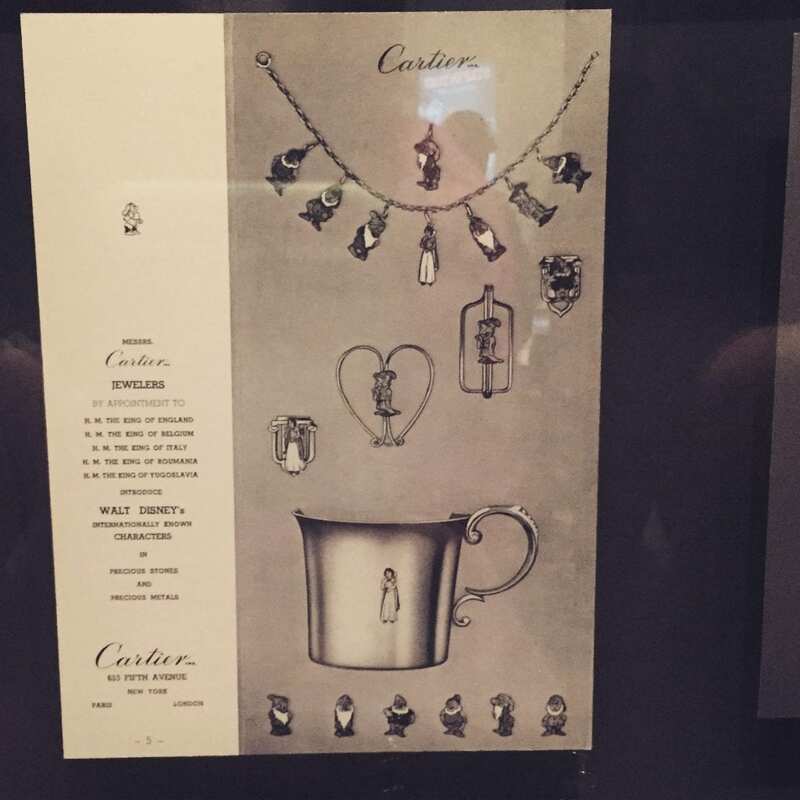 I love this charm bracelet by Cartier! Can you imagine having one of these? My daughter would love the Snow White cup! This is one of the early cameras that they used for animated feature films. They would have to painstakingly line up animation cells over each other to create a depth of field. 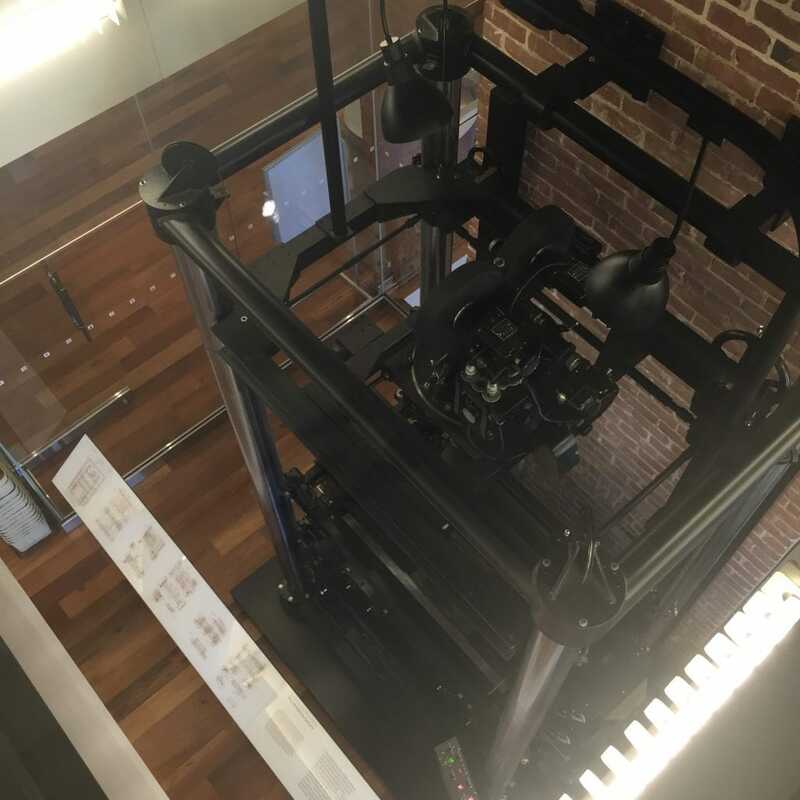 In the building you can look from the top floor through the top of the camera and see how they were able to do it. That wasn’t the only camera they had in the museum. Do you know what this is? This is one of the first underwater cameras ever built. It was used in the filming of 20,000 Leagues Under the Sea! 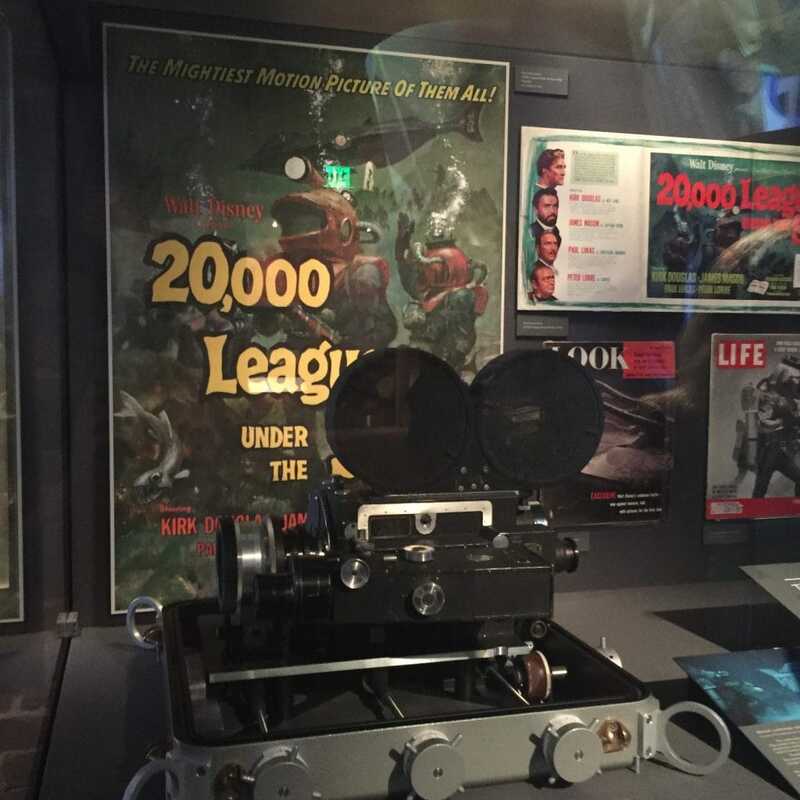 There is so much movie history at the museum. If you are a movie buff you must check it out! 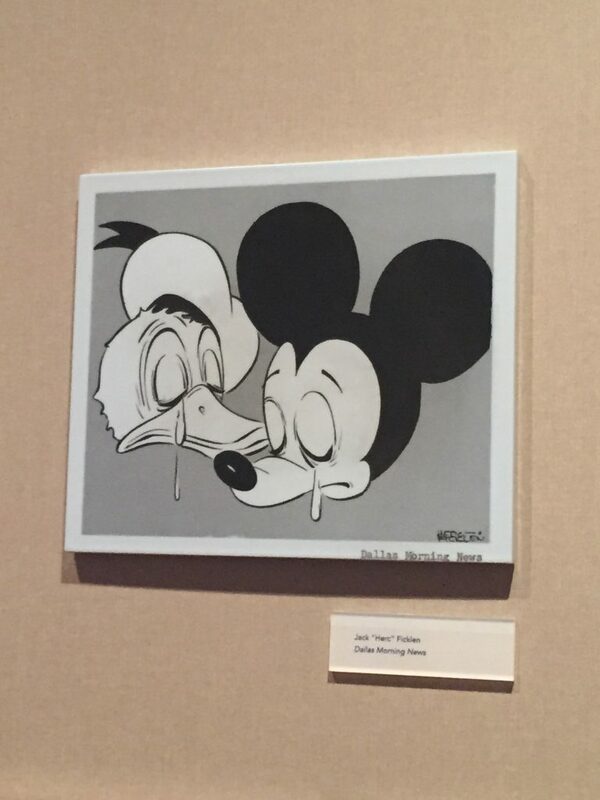 The museum showcased Disney’s personal life as well as his professional life. He gave his wife this charm bracelet and added miniature Oscars on it every time he won one. 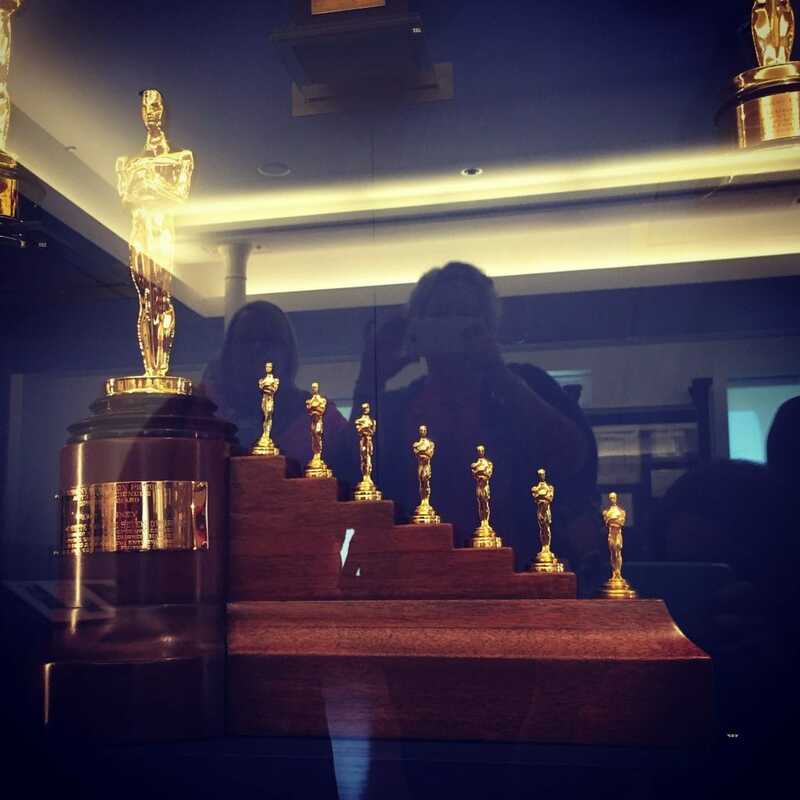 Each little Oscar is engraved with the movie that it represents. One of my favorite parts of our tour was seeing how Disneyland was imagined. 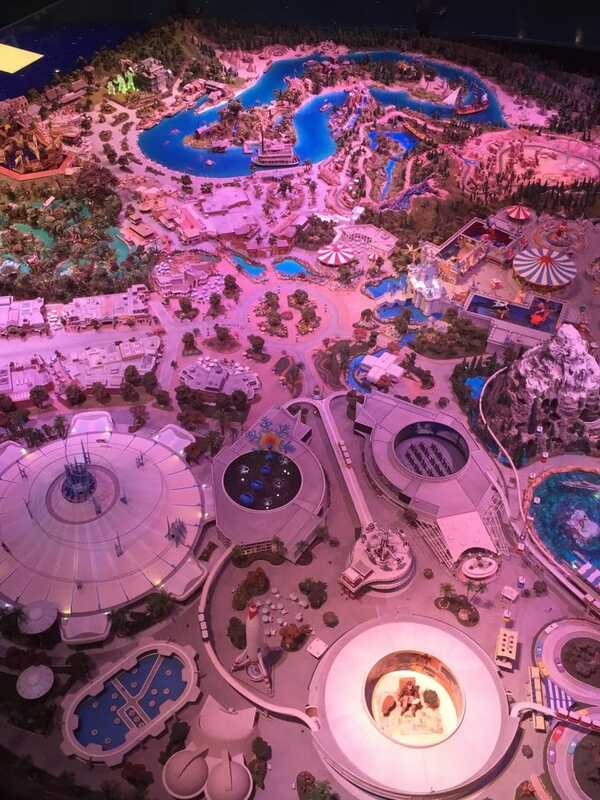 Inside the museum is a 14–foot model of Disneyland, the way it was imagined by Walt Disney himself. This is model of the Fantasyland Castle created for Walt in 1955. 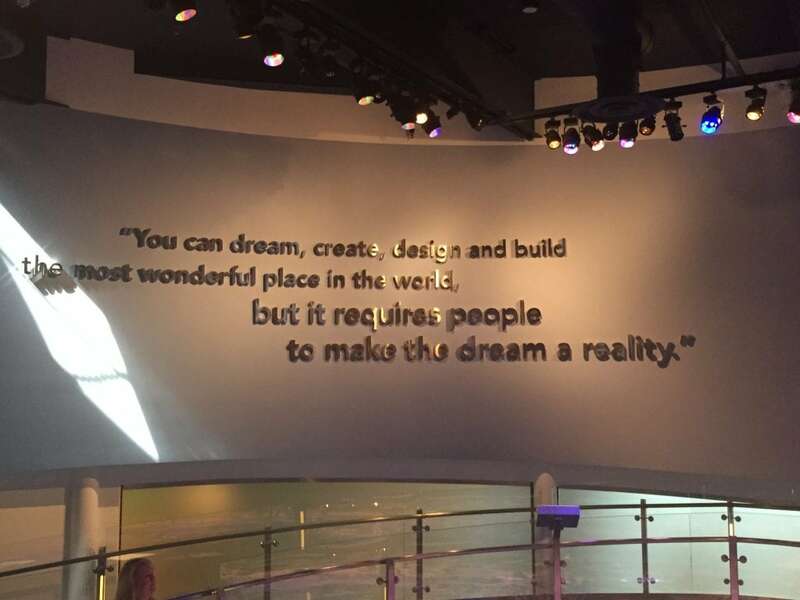 Right above the model of Disneyland is a quote that I absolutely love. I think that one of the reasons Disney World and Disneyland have been so successful is because of the people that they employ. I had to smile when I read about opening day. Even for Walt Disney things do always go according to plan. Everyone has bad days, but just look at the success that came from it! I tried to get a decent picture of the model. It is even more impressive in person, so if you have the chance to go you should! I was literally choked up. Hours: The Museum is open 10 a.m. to 6 p.m., Wednesdays through Mondays. Closed Tuesdays, and January 1, Thanksgiving Day, and December 25. Admission: Admission can be purchased at the door or at waltdisney.org. Tickets are $20 for adults, $15 for seniors and students, and $12 for children 6 to 17. Admission is free for members and children under 6. Movies are $7 for adults and $5 for children. For information about annual memberships, please check waltdisney.org/membership. I hope I see you watching Tomorrowland this weekend and stay tuned for more posts about my amazing time in San Fransisco!